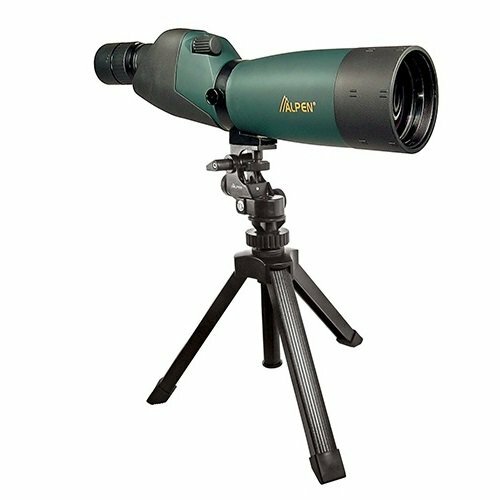 Hunters know of how important a good hunting camera can be in making their hunting expeditions successful. It is for this reason why it is imperative that you use a very good hunting or game camera. And in this post, we shall be reviewing the Wild Game Innovations 360 Camera, which is one of the most popular trail/hunting cameras currently available for purchase. The camera comes with a number of very important features such as 12 Megapixels, a 360-degree image/video capturing ability, a 1.5-second Trigger Speed, a long Battery Life, a T-post mounting bracket, among several others. The purpose of this Wild Game Innovations 360 Camera, Bark Review is to acquaint readers with the major features, pros and cons of this camera. In addition to this, we shall also be spending some time looking at some of customers’ most frequently asked questions. 1.10.1 Q. Who are the manufacturers of the 360 Camera? 1.10.2 Q. How many batteries does the 360 Camera use? 1.10.3 Q. Are the batteries included in the purchase? 1.10.4 Q. Does it come with a mounting strap? 1.10.5 Q. Is the camera waterproof? 1.10.6 Q. How much does this trail camera weigh? 1.10.7 Q. What types of memory cards does the 360 Cam accept? 1.10.8 Q. Does the camera come with memory cards? 1.10.9 Q. Can the 360 Cam be activated by the motion sensor? 1.10.10 Q. Does the camera have an invisible flash? 1.10.11 Q. How fast is the camera’s trigger speed? One of the most prominent and useful features of the 360 Camera is its unique ability to efficiently capture 360° images and videos. How does the 360 Cam do this? The camera is capable of doing this simply because of such features as its rotating lens, a 360° detection area ability and an excellent infrared flash system. With the 360 Cam, there are basically no blind spots – wherever there is motion, the camera will capture it instantly. Not too many trail cameras have the ability to easily blend into their surroundings because of their colors and looks. But with the 360 Camera, blending into the environment isn’t a problem at all. The manufacturers of the camera purposely designed it to look like a tree bark so that it can easily blend very well in its surroundings, thereby making it very difficult for game to detect it. The camera comes with an excellent t-post mounting bracket system which is very easy to use. The t-post mounting system allows you to easily and securely place the camera in any desired location for the best field of view. The 360 Cam is one of the few good trail cameras that come equipped with the ability of effectively capturing video and images at both daytime and nighttime. So what gives the camera the ability to capture nighttime images and videos? The camera is capable of doing this mainly because of its 36-LED flash that has the ability to illuminate animals that are as far away as 70 ft.
One of the most useful features of this camera is its rapid trigger speed. The trigger speed is the amount of time it takes for a camera to capture a photo or video after it senses motion, and with a 1.5-second Trigger Speed, the 360 Cam is renowned for having one of the fastest trigger speeds in the industry. In addition to being a very effective game camera, the 360 Camera is also a very effective security camera that can help you to catch burglars, trespassers and vandals. The camera can easily be mounted high on places such as a tree or a telephone pole and take images and videos of trespassers without making them aware of its existence or location. Even at night or in complete darkness, the 360 Cam will still take photos of intruders with no visible flash to alert them of the camera’s existence. The camera has the ability to excellently take 360° images and HD 720p videos. In addition to being water resistant, the 360 Cam is also weather endurable. The camera is capable of taking very clear daytime and nighttime images and videos. The camera was designed for large game and security. It doesn’t work for small birds etc. It comes with a fast trigger speed (1.5 second trigger speed). 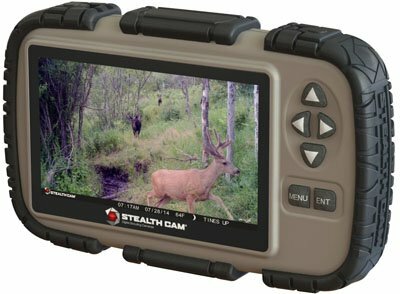 In addition to being very effective trail camera, it is also very good for security. It does not come with game-spooking effects, thus increasing your likelihood of having a successful hunt. It comes with a custom t-post mounting bracket system that gives one the opportunity to monitor an entire food plot. The camera does not make much noise when it rotates. Its camouflage nature makes it very difficult for animals to notice its existence during the daytime or at nighttime. It comes with an external battery port. The purchase includes a mounting strap. The camera does not come with a place for a lock, which therefore means that the user cannot lock the camera. The sensor can sometimes be a little bit slow to capture movements. When set to the highest sensitivity, the motion sensor sometimes picks “false positives” and captures things such as tall grasses blown by the wind. Q. Who are the manufacturers of the 360 Camera? A. The camera is manufactured by an American company named Wildgame Innovations, which was founded in 2002. Q. How many batteries does the 360 Camera use? A. The camera uses 8 AAA batteries. A. No. You have to buy the batteries separately. Q. Does it come with a mounting strap? A. Although it is not waterproof, it is water resistant and can endure harsh weather conditions. Q. How much does this trail camera weigh? A. It weighs around 1 pound. Q. What types of memory cards does the 360 Cam accept? A. It accepts SD and SDHC memory cards up to 32 gigabytes. Q. Does the camera come with memory cards? A. No. You have to buy the memory cards separately. Q. Can the 360 Cam be activated by the motion sensor? A. Yes. The 360 Cam is activated by motion. Q. Does the camera have an invisible flash? A. The 360 Cam uses an infrared light to take pictures. Q. How fast is the camera’s trigger speed? A. It is very fast. From the Wild Game Innovations 360 Camera, Bark review above, it is clear that the 360 Cam is a very useful hunting camera. If you are therefore looking for a very effective trail camera that offers a variety of useful features and options, the 360 Camera is worth considering. You can also check out How to Use a Game Camera Hunters Trail Camera.